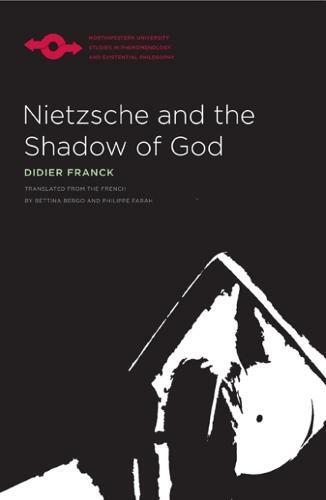 In Nietzsche and the Shadow of God (Nietzsche et l'ombre de Dieu), his study of Nietzsche's integral philosophical corpus, Franck revisits the fundamental concepts of Nietzsche's thought, from the death of God and the will to power, to the body as the seat of thinking and valuing, and finally to his conception of a post-Christian justice. The work engages Heidegger's interpretation of Nietzsche's destruction of the Platonic-Christian worldview, showing how Heidegger's hermeneutic overlooked Nietzsche's powerful confrontation with revelation and justice by working through the Christian body, as set forth in the Epistles of Saint Paul and reread both by Martin Luther and by German Idealism. Franck shows systematically how Nietzsche "transvalued" the metaphysical tenets of the Christian body of believers. In so doing, he provides an unparalleled demonstration of the coherence of Nietzsche's project and the ways in which the revaluation of values, amor fati, and the trials of eternal recurrence reshape the living self toward a creative existence beyond original sin-indeed, beyond an ethics of "good" versus "evil." Bergo and Farah's clear translation introduces this work to an English-speaking audience for the first time.